The first Mayday. The Haymarket Speeches 1895-1910 Voltairine de Cleyre (with an introduction by Paul Avrich). On 1 May 1886, 800,000 workers from all trades and factories throughout the US went on strike in support of the eight-hour working day. In Chicago, a stronghold of immigrant labour and anarchists, 300,000 workers struck and marched through the city streets in a huge display of proletarian power. Before the Chicago May Day strike action began, the management at McCormick Machine Co. (now International Harvester) had locked out 1500 workers over a wage dispute. 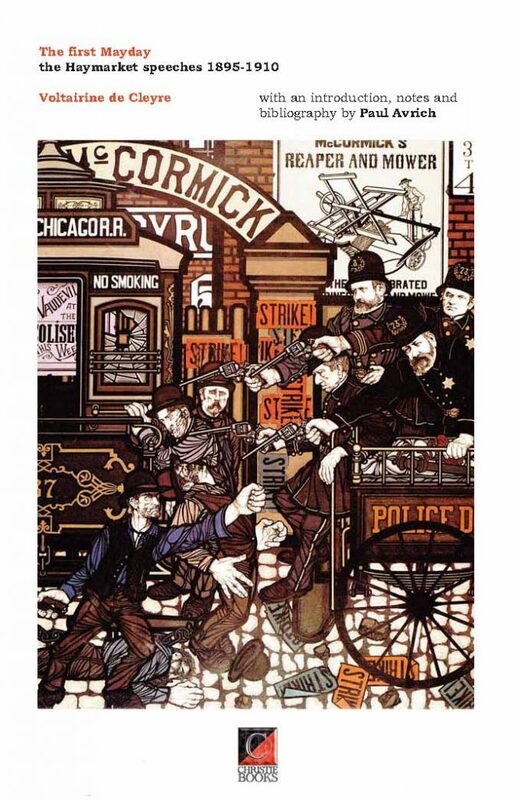 On 3 May, when pickets attempted to prevent blackleg labour entering the plant, the Chicago police opened fire on the workers, killing, four and wounding many more. Outraged at this act of naked aggression, radical newspapers called for armed resistance against the bloodthirsty Chicago police, and a protest rally was called for the following day (4 May) at Haymarket Square. Three leading anarchists gave speeches condemning police violence and capitalist oppression: Parsons, Spies and Fielden. As the meeting came to an end, 200 police moved in on the crowd. Suddenly, a bomb was thrown and exploded in the midst of the police, who immediately opened fire on the assembled workers. Several police and many workers were killed.